Q&W Apartment offers pet-friendly accommodation in Split, 600 metres from Palace of Diocletian and 300 metres from Republic Square - Prokurative. The air-conditioned unit is 500 metres from People's Square - Pjaca. Vacation rentals on island Vis, accommodation in apartments, villas, hotels and rooms. 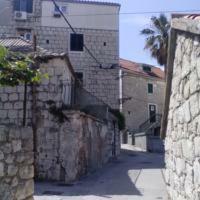 ... accommodation island vis croatia vacation rentals ... Latest Q&A.